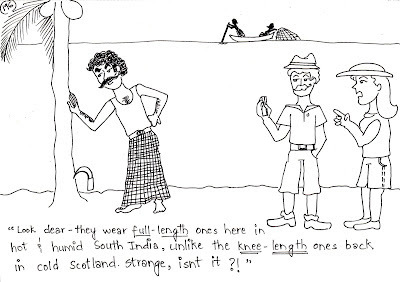 Look dear - they wear full-length ones here in hot and humid South India, unlike the knee-length ones back in our cold Scotland. Strange, isnt it? !